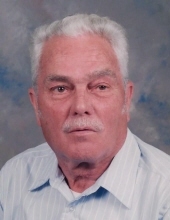 A Taylorsville resident, Mr. William Isaac Dixon, age 88, passed away Tuesday, November 6, 2018 at his residence. He was born October 2, 1930 in Blackie, Kentucky to the late Oscar and Sophie Caudill Dixon. He was a retired sheet metal worker, a United States Army Veteran, and a member of Primitive Baptist Church in Eastwood, Kentucky. Along with his parents, he was preceded in death by his wife, Liddie Esther Dixon, his daughter, Rhonda Hawley, and his brother, Donald Dixon. He is survived by 2 sons, Rodney (Vicki) Dixon of Mt. Washington, William Randall (Rosemary) Dixon of Wellington, KY., 4 grandchildren and 7 great grandchildren. Funeral services for Mr. William Isaac Dixon will be 12:00 noon Friday, November 9, 2018 at the Greenwell-Houghlin Funeral Home in Taylorsville. Roderick Dixon will officiate. Interment will be in Valley Cemetery. Visitation will be Friday from 10:00 am until time of funeral services. The Greenwell-Houghlin Funeral Home of Taylorsville is in charge of arrangements. To send flowers or a remembrance gift to the family of William Isaac Dixon, please visit our Tribute Store. "Email Address" would like to share the life celebration of William Isaac Dixon. Click on the "link" to go to share a favorite memory or leave a condolence message for the family.